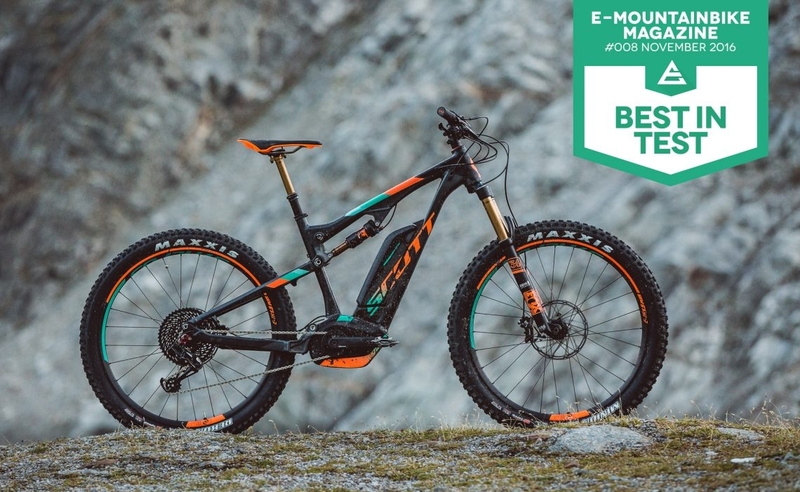 In the quest for the best eMTB coming through in 2017, E-MOUNTAINBIKE Magazine recently put ten pretenders to the throne up against each other. After last year’s group test triumph, there was huge expectation heaped on the SCOTT E-Genius. For 2017, the Tuned version of the bike now sports an even more swish spec. Other ebikes in the test included those from big brands such as CUBE, Bulls and Cannondale amongst others. The new “Tuned” denomination by SCOTT means top-of-the-range. Don’t be fooled into thinking Bosch’s Performance CX motor has in some way been tweaked. That’s not the case. Its immense power is delivered through a huge 500Wh battery. The main difference with the Tuned, is the ground adhesion, feel and performance of the bike which outshone all others in the test. The riding position is spot on, with great ergonomics and balance. 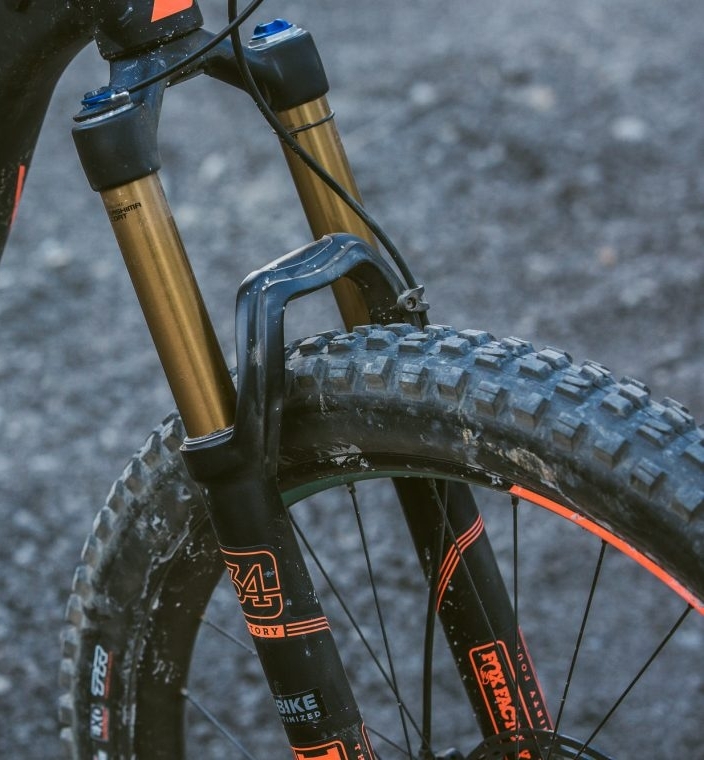 The MAXXIS Minion DHF front tyre with a 2.8″ width and a Rekon+ at the rear serves up masses of grip, great braking traction, and unrivalled stability. 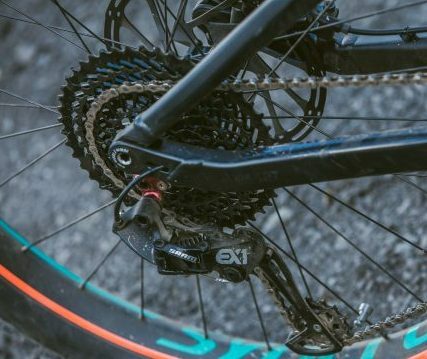 The marriage between the Bosch Performance CX motor and eMTB specific 8-speed SRAM EX1 drivetrain will see you up the steepest climbs. EX1 shifters and brilliant stopping power from the SRAM Guide RE brakes are a joy to use. The diamond in the crown is the FOX 34 FLOAT Factory fork. It brings impeccable responsiveness and optimal damping to the Genius. No other model on test could smooth out the trails like this. It can be controlled via two lock-out settings from the TwinLoc technology lever on the bars. The Tuned picks up speed incredibly easily from rest. Double figure gradients are easily beaten into submission. A huge 48-tooth cog on the EX1 coupled with immense grip from the MAXXIS tyres maintains ground contact. Whether it’s a mass of roots, a rock garden, drops, or jumps, the E-Genius is more than enough. For more information and specs, take a look at our range of SCOTT bikes, in particular the E-Genius 700 Tuned, you won’t be disappointed.